This week’s Featured Application comes to us courtesy of Jeff Lazaros and his team with Michigan Synthetic Turf Solutions. 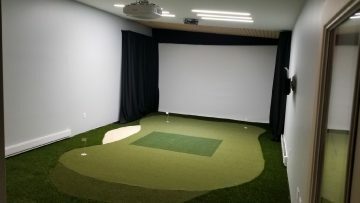 Jeff recently installed an indoor golf simulator at a private residence in Bad Axe, Michigan. The customer looked at several options for what product they wanted to have installed in their simulator. 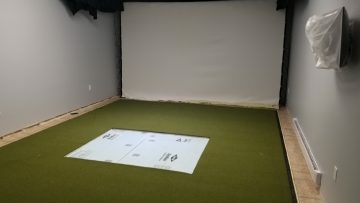 They loved the options that Jeff showed them, and opted for the NP 50 putting surface. 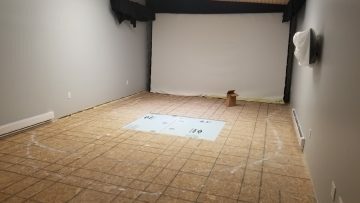 The NP 50 wraps around a 5′ X 5′ EZTee Poly mat that is centered in the room. The putting green features three holes. 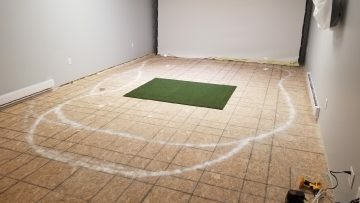 Jeff wrapped the putting surface with SoftLawn® Fresh Zoysia, and included a small chipping area of SoftLawn® Pro Cut. The team also installed a small piece of Bunker Turf for aesthetics. Jeff installed the whole project in one day. Visit our application page for more information, browse our gallery for ideas and contact STI to Experience A Greener World. This post was originally published here by Synthetic Turf International.